GemologyOnline.com • View topic - What do you think of GRS reports? Post subject: What do you think of GRS reports? What does anyone know about Gemresearch Swisslab? i've seen many spphires/rubies certified by GRS when i was in Basel fair. for what i've seen most of Thai sellers prefer this lab. even here (Italy) i've seen many corundum certified by this lab. For a particular kind of red color they use the "pidgeon blood" term (i don't like this term but, well it's only a personal opinion...). take a look to the site http://www.gemresearch.ch/ i've seen many interesting things. For what i know the certificate it's cheaper than other important labs as Gubelin and SSEF. here in Italy for very IMPORTANT colored stones many sellers/buyers prefers Gubelin or SSEF (this is my experience). From my experience you would have a problem to sell a stone with a GRS certificate in Germany. Which labs would be preferred in Germany? The topic isn't German labs but GRS. I've seen many GRS reports which I know have been produced in BKK. However, the reports did not indicate that the lab is in BKK but in Switzerland. I wonder why the reports do not state BKK as lab location? Does GRS have a lab in Switzerland? With reference to Ursula's statement: I have mentioned GRS to some jewellers I deal with in Germany. They had not heard of GRS and knowing Germans they would not buy on account of this cert. Many German buyers buy directly from Idar-Oberstein from people they have dealt with for generations and who they trust. Many jewellers seem to use small private labs. This is my experience. Perhaps there is a German forum member who can give his experience?? Uhhh, this could get a little confusing! Quantum Mechanics...the dreams stuff is made of. It is also interesting to add that another person I know was also threatened by the same lab because in a newsletter he said about this lab that it was "Bangkok based". I will not give here any more details as I think the readers of this forum can understand now clearly which kind of problem they can face with their posts when a companies or a person feel that the post is hurting their business. The purpose of this post is only to inform clearly people writting in forums that their posts about some labs might not be without consequences in the future. My point here is that I see that the discussion here is going in a direction that might be somewhat dangerous in the future for the people posting here without possibly concience about the possible danger for them. I want to add that I have absolutly no comments to give about the lab people speak here about, the people working there or their reports. If some people may feel angry with this post or if this post was to create any problem I would be happy to edit it or even if necessary to remove it as my only purpose here is to inform and help people writting in this forum. The views expressed here are V. Pardieu’s opinions and do not necessarily reflect those of GIA Laboratory Bangkok (http://www.giathai.net)where he is an employee since Dec 2008. Last edited by vincent pardieu on Fri Jul 06, 2007 1:46 am, edited 6 times in total. Honestly i was waiting for a post like yours since the Gemlab forum was open. I Agree completely with you. we are in a mined camp here so, be careful to what you say about gemlab, folks. Vincent's experience can be educational for all of us. Tank you very much Vincent for sharing your post and experience. Sorry to hear you got such a rude awakening, Vincent, and thank you for posting your insights on this. Most people have a tendency to forget that what gets said on a public forum gets picked up by folks across the globe who might not necessarily agree with one's take on things, and there are a certain percentage who will do anything they have to do to get negative comments removed from public access, even going so far as to threaten people's families. Actually GRS has 2 labs in Switzerland, one in Geneva and one in Luzerne. And as far as science is concern, I rate their staff at the top! Post subject: Re: What do you think of GRS reports? GRS Laboratories is a group of gem testing laboratories first founded in 1994 in Switzerland with additional GRS gem testing laboratories subsequently opened in Thailand, Sri Lanka and Hong Kong. GRS is specialized and has become renowned world-wide for its origin and quality reports on rubies, sapphires and emeralds. 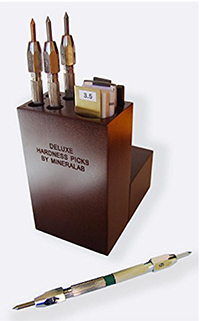 Its laboratories are positioned very closely to the worlds most important gem markets. 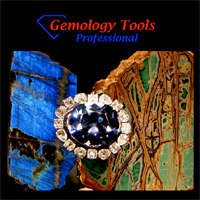 GRS publishes its independent gemological research in its own journal: Contributions to Gemology and produces unique documentary video content on topics related to expeditions and research on the source of colored gemstones (http://www.gemresearch.ch). 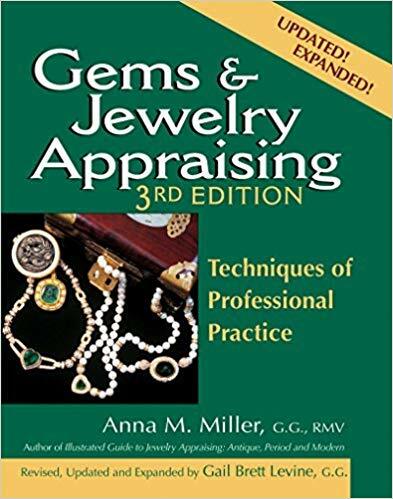 GRS is very trusted and its like AGL in Thailand and Swiss, all reports is supervised and signed by Dr. Adolf Peretti himself also he is friend of Christopher P Smith as you remember they even harmonized lead glass definition as composite/hybrid rubies in their reports. at the GRS office in Hong Kong, 2011. GRS has several locations. How can Dr. Adolf Peretti supervises and sign all of reports at the same time?